Gold / Polished Brass Juno Door Handle on long plate. Plate size is 32mm wide x 235mm in length. 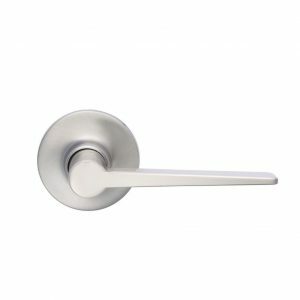 Available in Passage, Privacy & Entrance Sets. 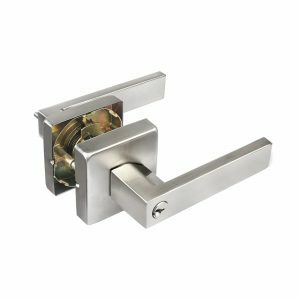 Privacy Set includes privacy mortice lock and barrel. 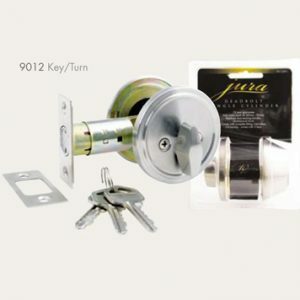 Entrance Set includes 60mm backset Mortice Lock & Euro Cylinder, 70mm length. 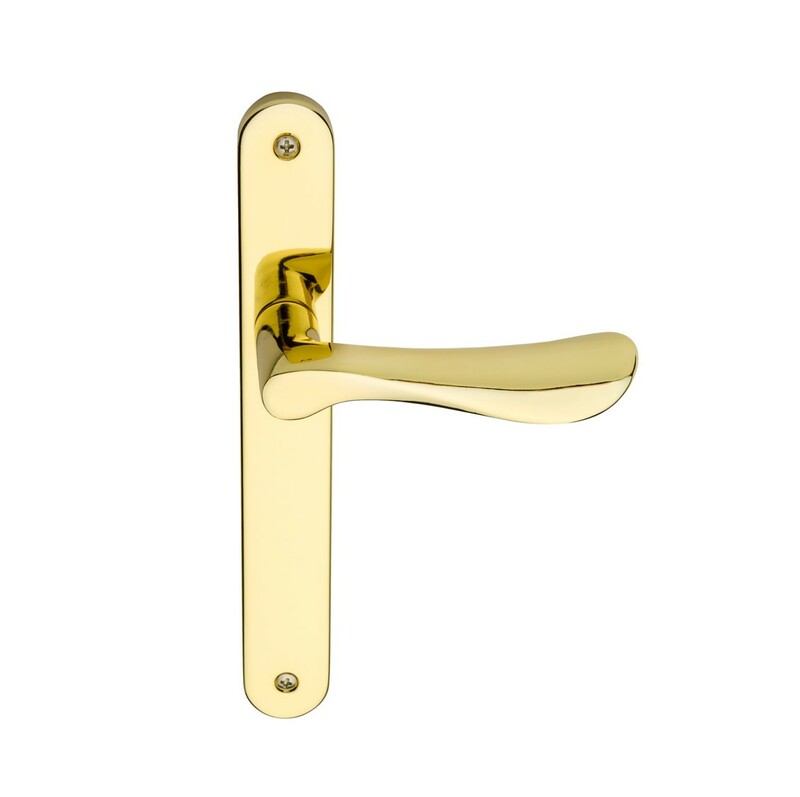 Feel free to call us if you need more information on this great brass door handle.